During the era of the Finnish autonomy under the Russian rule, Russia’s Consulate General in New York created a new position for a Finnish-speaking migration interpreter (1882). The responsibility of the migration interpreter was to take care of the migration-related issues, as well as to promote the interests of Finland’s main exporters, i.e. exporters of tar and butter. Even though this function was attached to Russia’s foreign affairs administration, it was paid for by Finland. Apart from New York, a similar job with equivalent duties existed only in Russia’s embassy in London. The United States recognized Finland as an independent country on May 7th, 1919, after which Armas Herman Saastamoinen was sent to serve as Finland’s first representative in the United States. The first Consuls General of the independence era were appointed in London and New York in the summer 1921. In addition to New York, other consulates were created in Duluth and Seattle in order to assist the Consulate General in the surge of activity related to the migration wave. Between 1900 and 1929 approximately 290,000 Finnish moved to the United States. In the 1930s, the Consulate General employed a commercial attaché. One of the reasons for such employment was the fact that New York was developing into one of the world’s trade centers. During the Winter War, the Consulate General was trying to help Finland in its war effort through moneylending and war equipment activities, among other things. At the host country’s request, the activity of the Consulate General was suspended in 1943. The reason behind this decision was Finland’s role as one of Germany’s allies. Two officers that had been working in New York were moved to assist Finland’s embassy in Washington D.C. The diplomatic links between Finland and the United States were completely cut off in 1944, and the embassy’s activity ended at that point as well. The United States never declared war on Finland, however, and the responsibility for protecting Finland’s interests was transferred to Sweden. The Consulate General was entrusted with monitoring duties for the newly created United Nations until the spring of 1956, when Finland became a UN member and created its Permanent Mission to the UN. The monitoring duties involved following sessions and negotiating with the Secretary General. During that time, the Consulate aimed to clarify how the activity of the Permanent Mission would need to be arranged. It also participated in the process of Finland’s applying for membership to the UN. After the war, the quantity of inheritance-related issues grew up significantly, as the generations that had moved to the US during the migration era began to get older. Activities related to transferring inheritance cases to Finland kept growing until the 1970s. In 1948, at the suggestion of the then Consul General, a precursor of the Chamber of Commerce – the “businessmen’s lunch club” - was founded. Its activity was supported by the Consul General who also aided it financially. In 1953, the name was changed to Finnish American Trade Association and in 1958 to its current form of Finnish American Chamber of Commerce (FACC). In the post-war era, Finland’s biggest export effort concentrated on the moveable industry exhibition organized in the Olympic year of 1952 and aimed to introduce Finnish products to the United States. As of the end of 1950s, Finland has been concentrating more systematically on making itself known through its culture. The Sibelius anniversary year (1966) was particularly important to the Consulate General: Leonard Bernstein was conducting the Sibelius Tribute Concert in New York, and several Finnish artists were performing all around the United States. The commercial activity of the Consulate General was intensifying as well. It was trying to improve the operational conditions of Finnish businessmen, assisting them in their market research activities as well. The 1960s and 1970s saw, among other things, the efforts of Marimekko, Vuokko and Aarikka brands to reach the US market. 1976 was yet another significant year for the Consulate. During America’s bicentennial, the Consulate General was largely involved in introducing the US to the Finnish culture. It participated in the organization of various events and assisted in arranging exhibitions ranging all the way from jewelry shows to iconic art events. 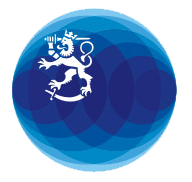 In the 1990s the center of gravity of the commercial activity moved to the Foreign Trade Union, as the commercial attachés were now employed by the Union instead of Finland’s Ministry of Foreign Affairs. Later on, the Union became known as Finpro (the current name is Business Finland). The Consulate General continued, however, to participate, within the limits of its resources and in cooperation with Finpro, in the activities related to promoting Finland’s export activities. Efforts concentrating on attracting investments to Finland were carried out together with Invest in Finland Bureau (currently, Invest in Finland is a part of Business Finland). In the 2000s, the Consulate General in New York concentrated largely on advising Finnish companies and assisting Finnish businesses to get access to the US markets. There are several dozens of Finnish companies in New York and the interest towards the city keeps growing. In particular, New York seems to be an attractive spot for technology companies and various start-ups. Finnish culture is well presented in New York as well, and Finland continues to fascinate New Yorkers. Finland has a great reputation in the Unites States, but it still needs to be better known. Currently, the activity of the Consulate General revolves mainly around promoting the Finnish commercial and economic interests, improving the operational conditions for the Finnish cultural agents and creating Finland’s national brand. The Consulate General is also responsible for the consular and entry services in New York as well as in other states and special administrative areas that fall within the scope of the Consulate’s activity. In 2019 Finland and the United States will be celebrating the 100th anniversary of their diplomatic relations. The Anniversary year’s campaign can be followed in social media through the Consulate General’s Facebook and Instagram accounts.